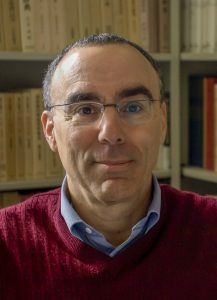 His research areas include theoretical philosophy of Kant and philosophy of science (particularly on foundation of probability and statistics). 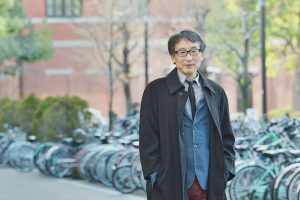 As an analytic Asian philosopher, he is reinterpreting mainly some East Asian thoughts such as Chinese Buddhism (Sānlùn, Huáyán and Tientai schools),and philosophies of Dōgen and the Kyoto school in terms of paraconsistent logic and dialetheism, aiming to build Lebensphilosophie of non-duality that incorporates a deflationary view on moral agency and emphasizes the significance of social engagement. 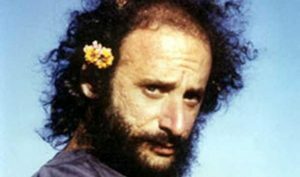 Jay L Garfield is Doris Silbert Professor in the Humanities and Professor of Philosophy, Logic and Buddhist Studies at Smith College, Visiting Professor of Buddhist Philosophy at Harvard Divinity School, Professor of Philosophy at Melbourne University and Adjunct Professor of Philosophy at the Central University of Tibetan Studies. 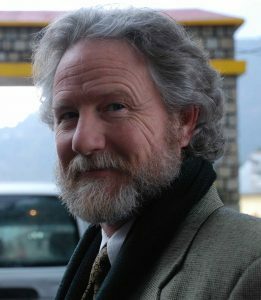 Prof Garfield’s research addresses topics in the foundations of cognitive science and the philosophy of mind; the history of Indian philosophy during the colonial period; topics in ethics, epistemology and the philosophy of logic; methodology in cross-cultural interpretation; and topics in Buddhist philosophy, particularly Indo-Tibetan Madhyamaka and Yogācāra. He is current working on a book with Yasuo Deguchi, Graham Priest and Robert Sharf, What Can’t Be Said: Paradox and Contradiction in East Asian Philosophy; a book on Hume’s Treatise, The Concealed Operations of Custom: Hume’s Treatise from the Inside Out; and a large collaborative project on Geluk-Sakya epistemological debates in 15th-18th century Tibet following on Taktshang Lotsawa’s 18 Great Contradictions in the Thought of Tsongkhapa and research with Shaun Nichols on the impact of religious ideology on attitudes towards death. Graham Priest is Distinguished Professor of Philosophy at the Graduate Center, City University of New York, and Boyce Gibson Professor Emeritus at the University of Melbourne. 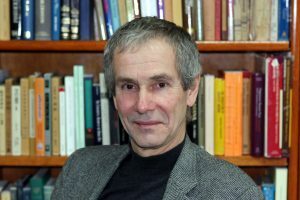 He is known for his work on non-classical logic, particularly in connection with dialetheism, on the history of philosophy, and on Buddhist philosophy. He has published articles in nearly every major philosophy and logic journal. 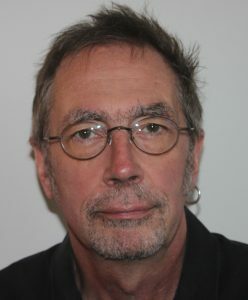 His books include: In Contradiction: A Study of the Transconsistent, Martinus Nijhoff 1987 (2nd edition: Oxford University Press 2006); Beyond the Limits of Thought, Cambridge University Press 1995 (2nd edition: Oxford University Press 2002); Towards Non-Being: the Semantics and Metaphysics of Intentionality, Oxford University Press 2005 (2nd edition, 2016); Doubt Truth to be a Liar, Oxford University Press 2006; Introduction to Non-Classical Logic: From If to Is, Cambridge University Press 2008; One, Oxford University Press 2014; The Fifth Corner of Four, Oxford University Press, forthcoming. When not doing philosophy, he likes to do philosophy. Further details can be found at: grahampriest.net. Mark Siderits taught analytic Asian philosophy, most recently in the Philosophy Department of Seoul National University, retiring in 2012. His research interests lie in the intersection between classical Indian philosophy on the one hand, and analytic metaphysics and philosophy of language on the other. Among his more recent publications are Buddhism As Philosophy (Ashgate/Hackett, 2007), Personal Identity and Buddhist Philosophy: Empty Persons, 2nd edition (Ashgate, 2015) and, together with Shōryū Katsura, Nāgārjuna’s Middle Way: Mūlamadhyamakakārikā (Wisdom, 2013). He has also edited several volumes of research on Indian analytic philosophy. A collection of his papers on Buddhist philosophy, Studies in Buddhist Philosophy, was published by Oxford in 2016. Professor in the Department of East Asian Languages and Cultures, and Chair of the Center for Buddhist Studies, University of California, Berkeley. 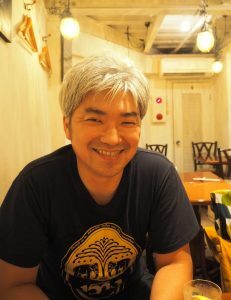 He works primarily in the area of medieval Chinese Buddhism (especially Chan), but he has also published on Japanese Buddhism, Buddhist modernism, Buddhist philosophy, Buddhist art and material culture, ritual studies, and methodological issues in the study of religion. His current philosophical work concerns Buddhist debates (Sarvāstivāda, Yogācāra, Chan) concerning the nature of perception, consciousness, and non-conceptual states. His research areas include Philosophy of Logic, Metaphysics, Philosophy of Language, and Formal Epistemology. 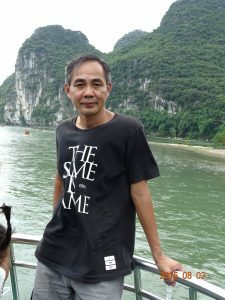 As an analytic Asian philosopher, he is interested in characterizing the catuskoti in a formal way, investigating the implication of Buddhist mereology and Buddhist logic, and comparing Daoist theory and I-Ching with dialetheism. His main interests are in philosophy of language, linguistics (in particular, semantics and pragmatics of natural languages), and metaphysics. He endorses Meinogianism, the view that we can refer to and quantify over nonexistent objects and make true statements about them, and applies it to natural language semantics and other areas. 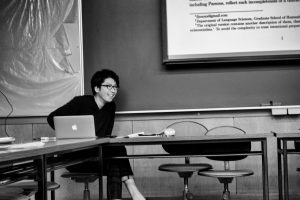 As for analytic Asian philosophy, he is working on formal implementation of Nishida Kitaro’s logic of place and the notion of nothingness in general based on paraconsistent logic. In 2017, he graduated at the University of St. Andrews under the supervision of Professor Graham Priest. His research lies at the intersection between Martin Heidegger’s metaphysics, Meinongianism, dialetheism and paraconsistent logic. Currently, he is exploring the relation between the so-called second Heidegger and the Kyoto School. He is working on philosophy of logic and philosophical logic with interests in proof-theoretic semantics, relevant logic, and non-classical logics in general. He has just started a study on Jainism using the concepts and tools from inferentialism and formal logic. Professor of Religion: Humboldt State University. 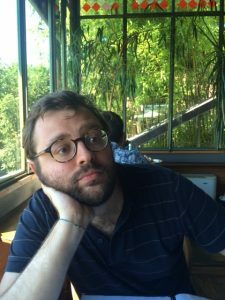 His research is focused on the relationship between Buddhist ontology and ethics. Recent publications include “Debate, Magic, and Massacre: The High Stakes and Ethical Dynamics of Battling Slanderers of the Dharma in Indian Narrative and Ethical Theory,” Journal of Religion and Violence, 2016; “Benefit of Self and Other: The Importance of Persons and their Self-Interest in Buddhist Ethics,” Dharma Drum Journal of Buddhist Studies, 16, 2015. “Waking into Compassion: The Three Ālambana of Karuṇā,” in Moonpaths, Cowherds, Jenkins et al., Oxford, 2015. “Interreligious Conflict among Buddhists and Non-Buddhists in India,” in Sectarian Peace/Violence in Islam. Ed. Ozgur Koca, Columbia, forthcoming 2017; and “Once the Buddha Was a Warrior,” in The Nature of Peace and the Morality of Armed Conflict, ed. Florian Demont-Biaggi, Palgrave, forthcoming, 2017.